Make sure your Lightning devices are always fully charged with the this Charge & Sync Lightning to USB Cable in black for Apple Lightning compatible devices. 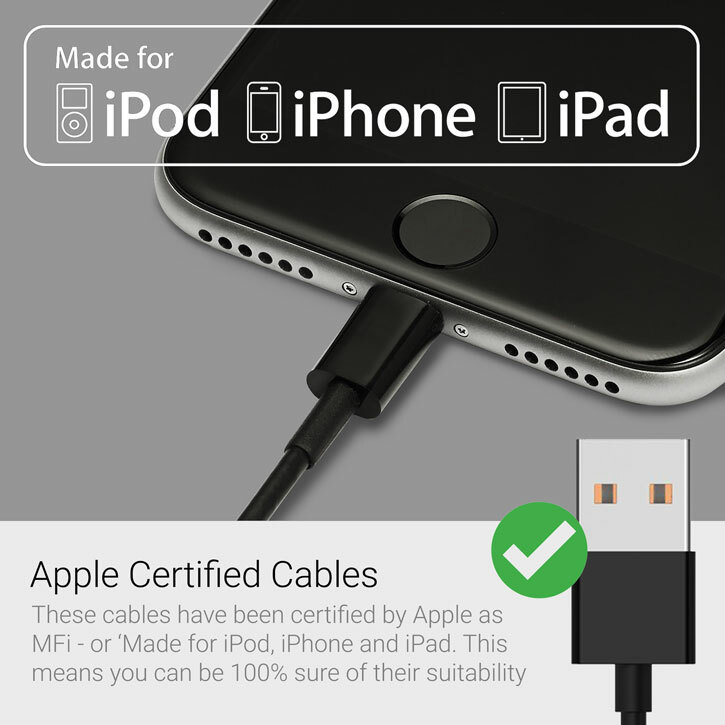 This cable is certified MFi by Apple for use with their products. 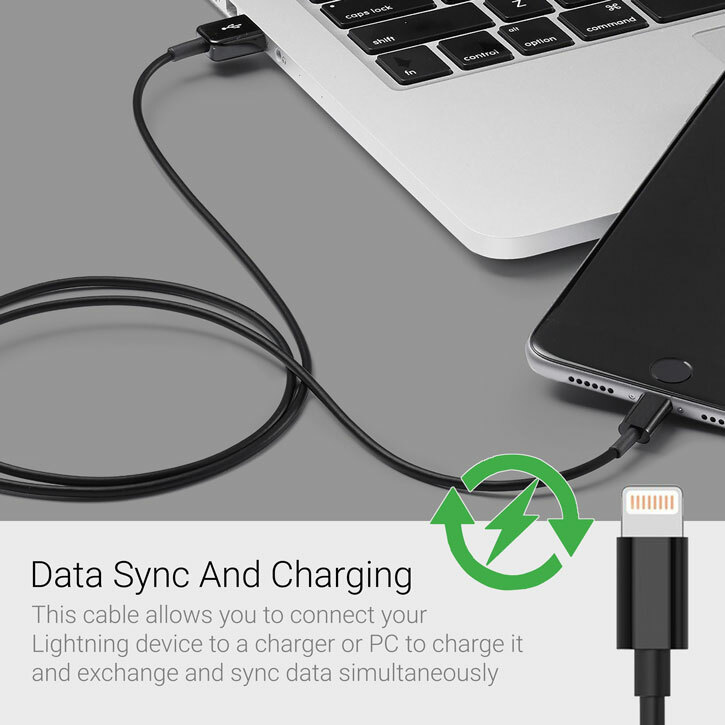 This quality cable allows you to connect your Lightning device to your laptop or PC in order to charge your phone and exchange / sync data simultaneously. This is a certified "Made for iPhone / iPad / iPod" Apple licensed product, ensuring the highest quality and compatibility with iOS devices. This versatile cable at 100cm is just perfect for most jobs. It's also ideal for travel, connecting to power banks or for ensuring a very tidy desk. 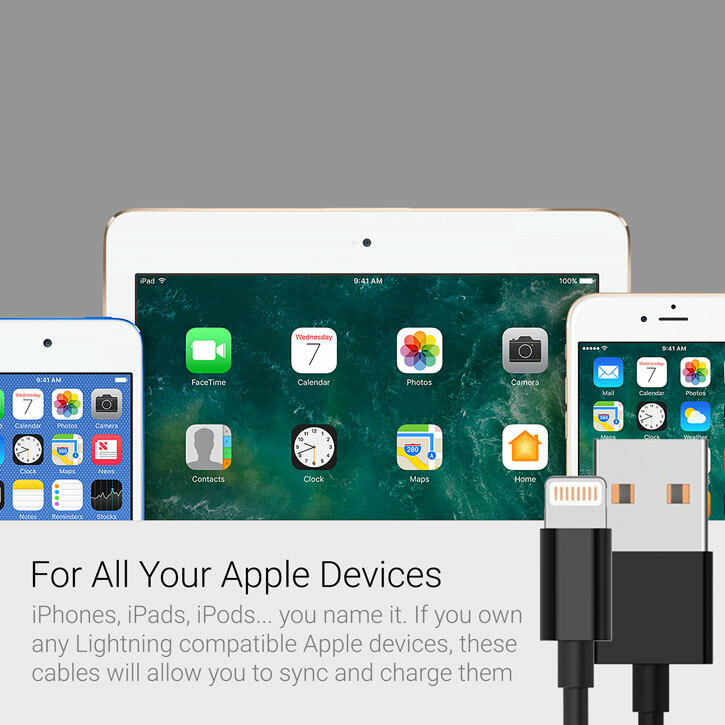 These cables are robust, durable and can last through your active lifestyle so you can put the pressure on your cable and not your precious Apple device. 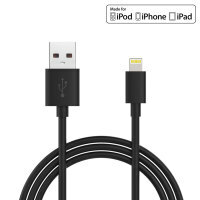 This cable still provides all of the functionality as the original Apple cable, but with added value for money.